Artist’s talk with Scottish documentary photographer Jeremy Sutton- Hibbert. 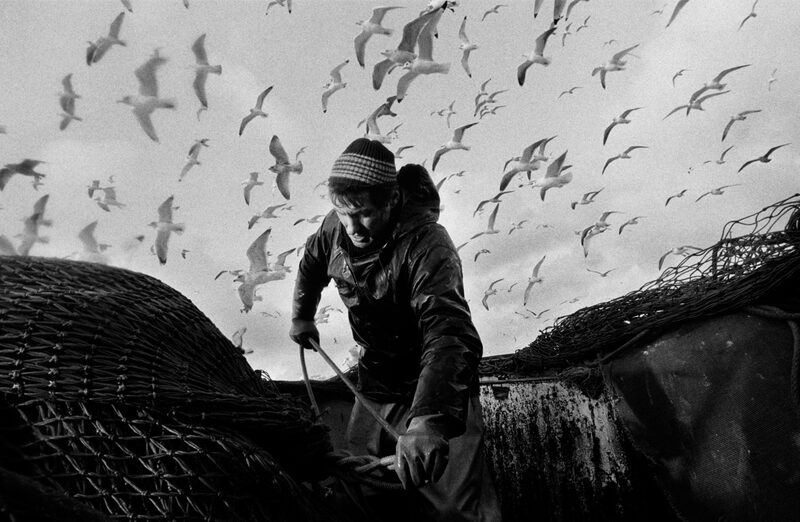 Jeremy presents North Sea Fishing, an exhibition of striking black and white images shot aboard the seine net fishing boats, Mairead and Argosy, in the North Sea. The images, shot in the 1990s, capture the reality of the life at sea for the fishermen of Scotland’s North East – the cramped conditions, the monotony, and the gruelling work in harsh conditions. This exhibition proves to be an important record of a way of life that’s already passing into history. Jeremy’s work has taken him to over 70 countries, as far flung as Antarctica and Outer Mongolia. His personal and commissioned work, for which he has been the recipient of photojournalism awards, has been widely published and exhibited in Europe and USA, appearing in magazines such as Time, National Geographic, Italian Geo, Le Figaro, The Guardian, The Sunday Times and many others. Nibbles and drinks will be provided.